Many American cheesemakers are inspired after visiting Europe and falling in love with the classical art of cheese. They return home to America and begin their cheese love affair, trying desperately to recreate flavors born on foreign soil. Not Central Coast Creamery. Reggie Jones didn’t have a European fling, but instead has been working in the dairy industry for over 25 years. 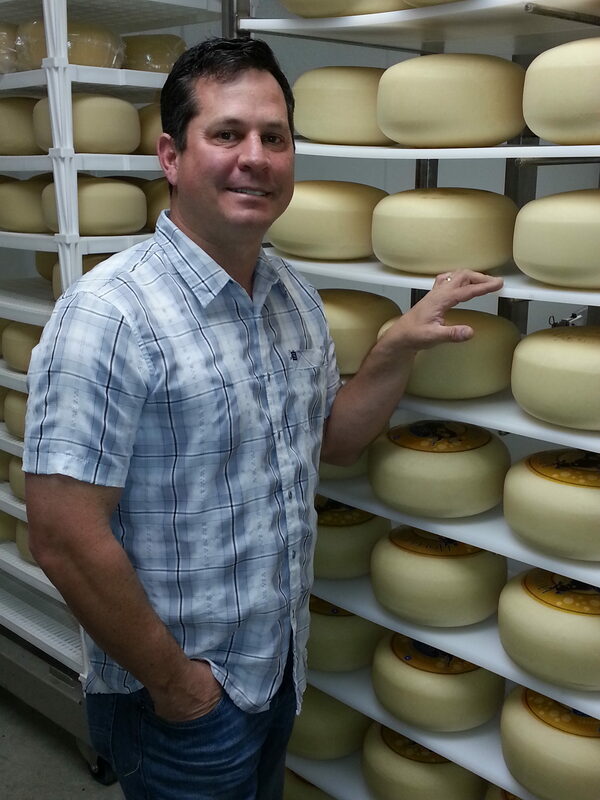 After years of gained experience, his love of California ingredients and flavors inspired him to begin making his own mark in the cheese wheel. 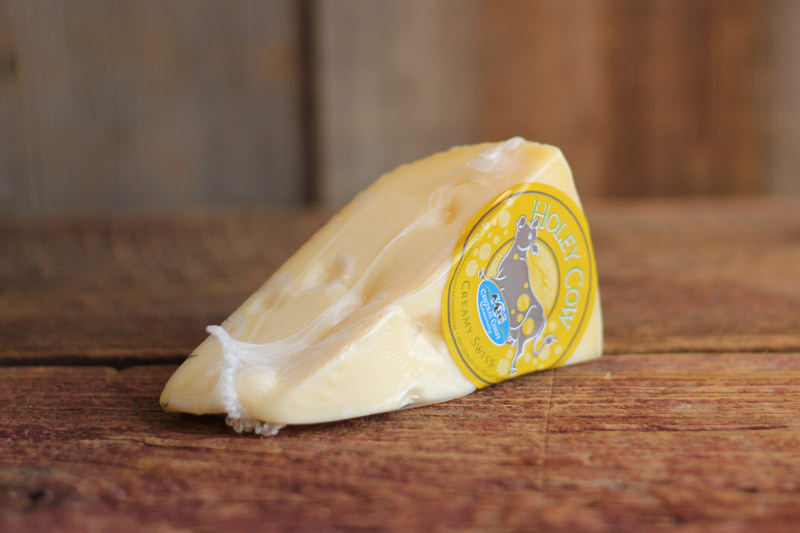 Today, Central Coast Creamery is a family-run operation in Paso Robles, California dedicated to using local California milk from hormone-free animals for their cheeses. 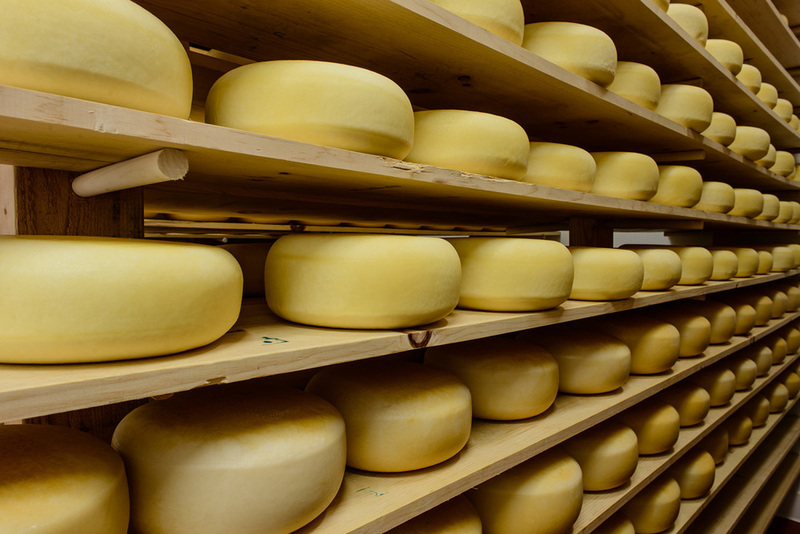 Specializing in aged cheeses, Central Coast Creamery makes all of its cheeses in small batches. The small batches allow the cheeses to develop rich and savory flavors, and the flavors don’t get compromised. Some cheeses are made from goat milk, which the creamery sources from a local farmer near the production facility. When you eat cheese from Central Coast Creamery, you are guaranteed to have a unique tasting experience. It’s the creamery’s mission to elevate the American palate, organically and responsibly. Reggie Jones earned a degree in Biological Sciences at Fresno State University and then went to work in his first creamery as a quality control supervisor for Gardenia Foods, which would later become California Gold Dairy Products. He was promoted to production manager for California Gold Dairy Products, which became Turlock Cheese Association, and, then Dairy Farmers of America. In 1999, he went to work as the vice president of operations for Evolutionary Ingredients Group, a company that provided technology to refine whey and produce commodities such as whey protein isolates (WPI) for sale to consumers. Reggie met his wife Kellie while attending high school in Modesto, California. In 2012, after dreaming of starting their own business for many years, the family moved to Paso Robles to build their creamery. 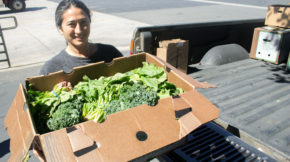 Kellie, a Cal Poly graduate, loved the area as a student and hoped to return someday and share the experience of living on the Central Coast with her family. The timing for their move was perfect: that same year their oldest daughter graduated from college, their middle daughter graduated from high school and their youngest daughter was still in elementary school. In deciding on a location for the business, they chose Paso Robles due of its proximity to the burgeoning wine region and the developing craft beer, artisan distilleries, and fine foods industries that continue to define to the area as a destination for fine food lovers! 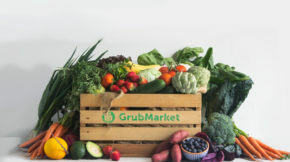 For many years, the Southern California branch of GrubMarket, formerly FarmBox, has been in love with the high-quality California flavors from Central Coast Creamery. Their creamy Holey Cow swiss cheese, in all Complete FarmBoxes this week, is one of the best-selling and most beloved artisanal products we offer. We’re extremely proud to partner with them and help spread their delicious cheese across California. Try our favorite burger featuring Central Coast Creamery’s Holey Cow Swiss this Labor Day!